I cannot really say if I liked the new cover of the final book in the Red Rising Trilogy, Morning Star by Pierce Brown. I was overly happy with the first two covers, because they were a perfect match and nothing could satisfy my OCD tendencies more. I disappointedly expected a matching cover for the third book, which as you may see below isn't... I don't really love the cover, after all -- after much thought. No offense... I also know why this has to be, because the title is to long and would not fit the format used on the first two books, which have shorter titles. * Eyes twitching. 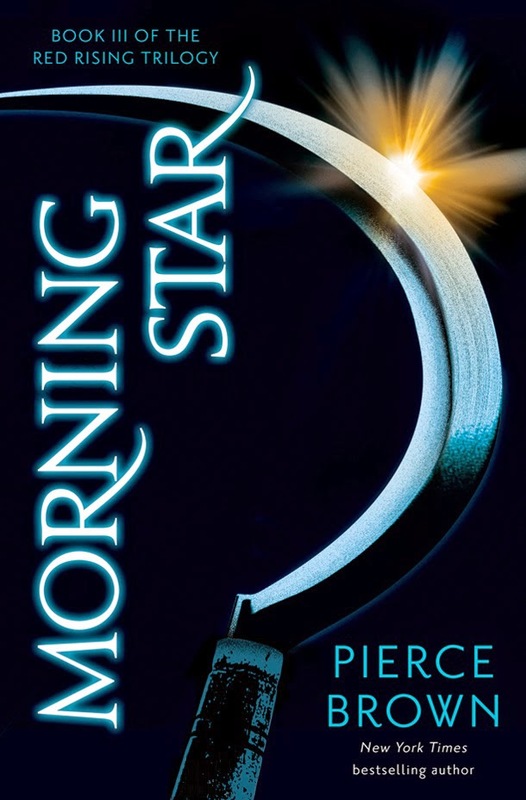 Check out this new cover of Morning Star by Pierce Brown. And here's how the books would look like if they are put together in one picture. 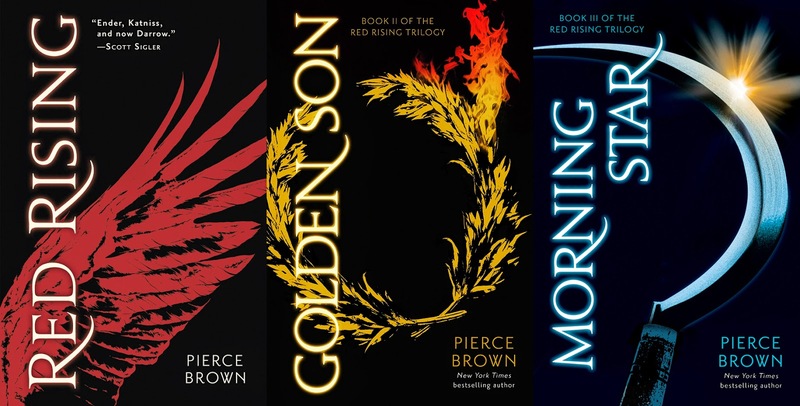 Morning Star by Pierce Brown will hit bookstores in Winter of 2016.